Thanks to our friend Cody at Cat Chat with Caren and Cody (ok, thanks to Cody's mom...) my mom found a way to finally get a portrait done the way a black cat deserves! Gorgeous! I always wanted a black cat. Don't tell the boys! Have a happy Halloween! Nice one. Have a tremendous Thursday and Happy Halloween to all your family. Hope it is a spectacularly good spooky one. That's a great portrait. Now Ernie is demanding a proper portrait! 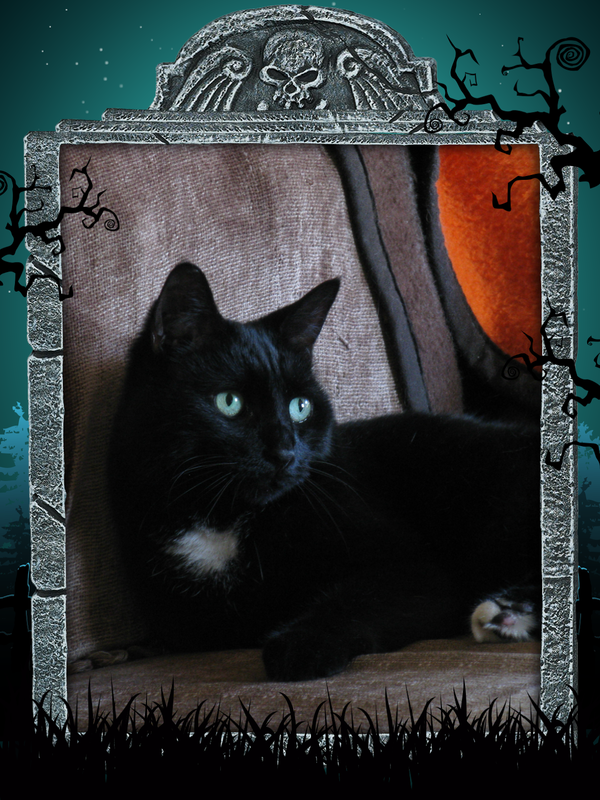 Just stopping by to wish mew all a pawesomely spooktacular Halloween! Why not join in with our Spookfest Blog Hop? That is a terrific portrait! Happy Halloween sweet friends! Now THAT is a purrfect portrait, brofur Tipp! Wishing you all a happy MEOWloween, with lots of treats (and no tricks). Looking really good in that portrait ! happee howl o ween ta everee one; heerz hopin yur trik N treetz bag be filled with mackerull, mice N pie !! What a cool photo! Where did you get it done? And Happy Halloween! That is purrfect picture it really shows everything from elegance to poise. That is a gorgeous portrait. We've been trying for weeks to get hold of you regarding the interview. Have you changed your email address?